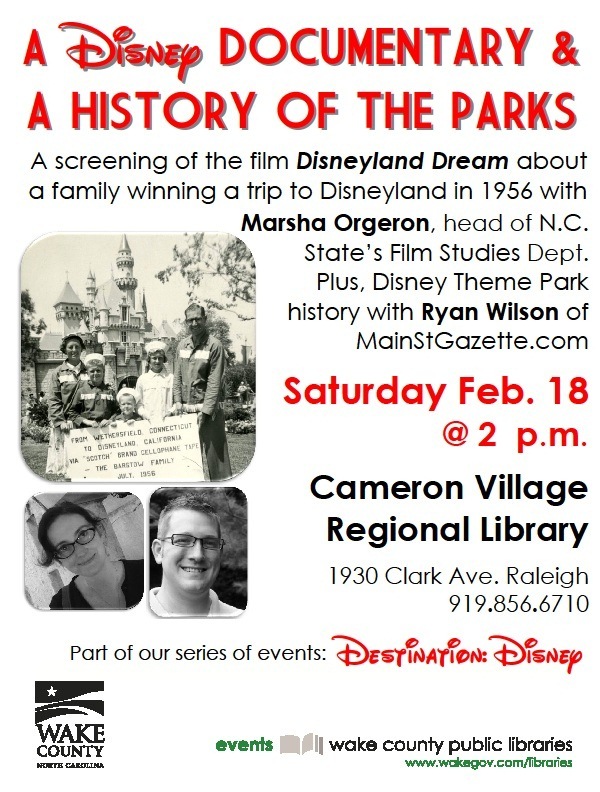 In a little less than a month, I will be doing a history presentation on Disney parks in Raleigh, NC. If you’re going to be in town, I’d love to see you there! Check the flyer for details. FoxxFur shows us that before there was Walt Disney World, there was Johnny’s Corner for Passport to Dreams Old & New. Matt Hochberg gives us a photo breakdown of Rock the Night! Fireworks Spectacular at Studios Central. A new cupcake from Contempo Café, a Red Velvet Cupcake, is thoroughly covere by AJ Wolfe and The Disney Food Blog. Want to know more about the history of rollercoasters and ride design? George Taylor has the review for you at Imaginerding. Mickey Mouse and The Doctor, do I need to say more. Thanks to Progress City, U.S.A. and Michael Crawford for finding this gem. Adam and Andrew explain the simple joy that is Columbia Harbour House at Disney Hipster Blog. Eating WDW and Sarah Holodick head to Fort Wilderness, so you know I’m going to promote it here. She explores the check-in area of the Hoop-Dee-Doo Musical Revue. Mickey through the years, as seen in Mickey’s of Hollywood, is covered by Melissa Loflin at Makin’ Memories. Steven Miller, at the Disney Parks Blog, highlights some upcoming merchandise. Check the comments section where he discusses upcoming Disney Racers with me! A bit off property, but Cirque du Soleil is going to have a second show in Orlando for two days next month. Get the details from Suzannah DiMazio and Zannaland. Could anyone but Crawford find a connection between the good Doctor and Disney?